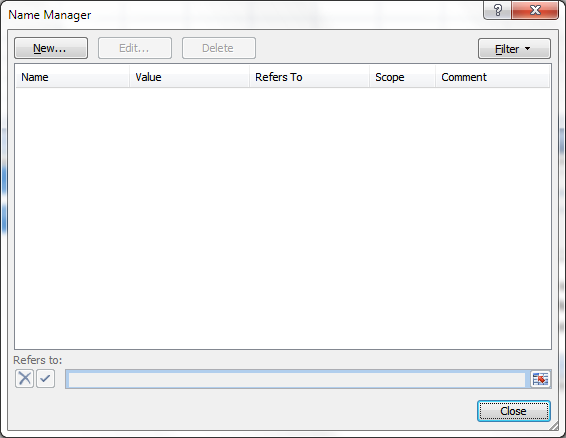 Click the OK button to return to the Name Manager window and then click the “Close” button in the Name Manager. Click on the "Insert" tab in the Excel main menu and then in the "Charts" section of the ribbon, click on the type of chart that you want. 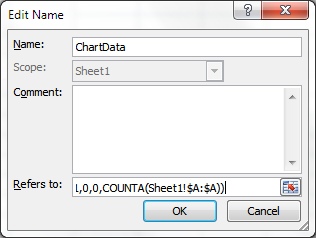 This will insert a chart in the worksheet. 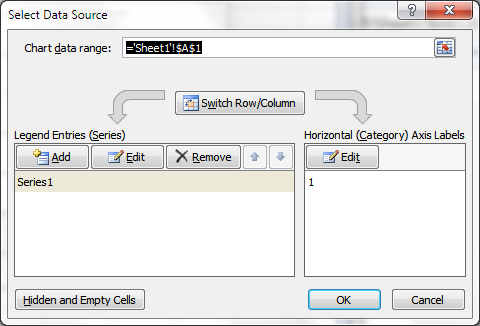 Click the OK button in the “Edit Series” window and then click the OK button in the “Select Data Source” window. As you enter numbers down column A, you should see your chart update automatically.